A very painful episode in the Los Angeles, California Mexican-American community is the subject of a documentary airing Monday, Feb. 1 on PBS. During the late 1960s and early 1970s, some Mexican and Mexican-American women who were admitted to Los Angeles County-USC Medical Center for an emergency caesarian faced an agonizing choice. If they wanted painkillers, or if they wanted to proceed with their operations, then they had to sign a piece of paper that a nurse or doctor thrust into their hands. “You better sign those papers, or your baby probably could die,” one woman recalls being told in Spanish. Many women gave their signature, on what they believed to be standard paperwork, despite feeling bewildered or disoriented, being in severe pain, or not understanding English. Only later did they learn that they had consented to a tubal ligation – sterilization – more commonly known as having their “tubes tied.” Those children that they had delivered at the hospital would be their last. For them, there would be no more babies, or as one woman put it in Spanish, No Más Bebés. No Más Bebés is now the title of a documentary that tells the story of these mothers and their subsequent fight for justice. It is a look back at how a group of poor women stood up to a powerful institution, as well as how their involuntary sterilizations affected their lives. No Más Bebés, produced in association with Latino Public Broadcasting, airs February 1st on PBS Independent Lens. The allegations concerning the sterilization of poor minority women at L.A. County General might never have come to light were it not for whistleblower Dr. Bernard Rosenfeld. After being frustrated in his attempt to stop these practices by reporting them to hospital authorities, the media, and civil rights groups, he convinced a group of young Mexican-American lawyers to mount a class action suit against the hospital doctors and the state and federal government. These lawyers put together Madrigal v. Quilligan (1978), in which they argued that a woman’s right to bear children is guaranteed under the Supreme Court decision in Roe v. Wade. 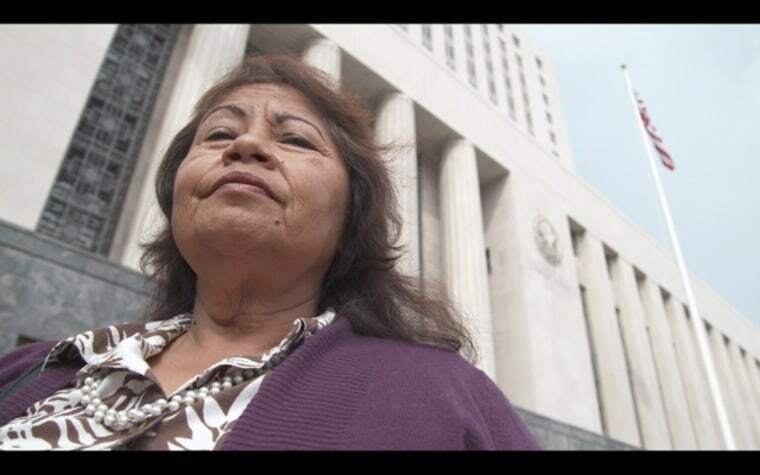 Dolores Madrigal was the lead plaintiff in the case, representing a group of ten women who asserted that they had been sterilized against their will, and Dr. E.J. Quilligan, head of obstetrics and gynecology at the hospital, was the original named defendant. While the mothers’ legal battle took place amid the emerging Chicano and women’s rights movement, it was not an easy fight. Back then, many women felt marginalized by the male-dominated Chicano rights movement. Because they hoped to institute a waiting period for sterilization, the mothers were also at odds with the broader feminist movement, which advocated for sterilization on demand. And on a personal level, the women felt tremendous fear, shame, and sadness over the procedures that had ended their childbearing capabilities. Since the verdict, the main participants in this landmark case have not spoken to the press about their experiences and their legal battle. Espino and director/producer Renee Tajima-Peña spent six years tracking down the mothers who had sued, along with other key figures in the case. Espino hopes that her film challenges the way audiences typically view Mexican women, particularly immigrants. “I want to help change the narrative about poor immigrant women,” she said. “It took incredible courage for them to stand up for themselves. I also hope that (our film) helps humanize them. Many people in our community have ideas about the right number of children for poor and working class families. We might believe that we have the right to make determinations for other people, but do we? These women all have wonderful families and they are good citizens.” Viewers should see No Más Bebés as a story of empowerment and strength, she said, rather than one of abuse and victimization. Most of the women who cooperated with the filmmakers had not told their families about their sterilizations. Some had told their husbands, which led to marital problems. Few had told any of their closest friends or family members of their involvement in the class action lawsuit. Still, the trauma stayed with the women all their lives. One mother is asked in the film how it felt when people would ask her why she didn’t have any more children. “Oh, it makes me want to cry,” she replies. One woman was sterilized at age 23; another was 39. Other mothers struggled with depression and even suicidal thoughts. Hernández knew at the time what an uphill battle she faced with the Madrigal case. “I was a legal aid lawyer working out of an office on Brooklyn Avenue,” she said. “When we couldn't get any doctors in Los Angeles County to testify and engage in helping us evaluate the case… when the County went and hired expensive lawyers, you got the sense this was uneven fight.” She described seeing No Más Bebés at a private screening as a “deeply emotional” experience. “I didn’t think it would affect me this much,” she added. 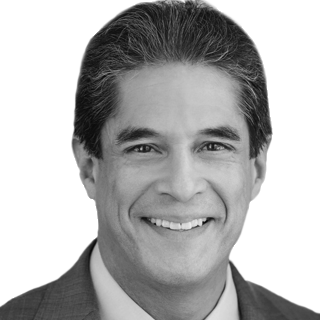 Hernández went on to become the president of the Mexican American Legal Defense and Educational Fund (MALDEF), and today serves as president and CEO of the California Community Foundation. As a result of the Madrigal case, the federal government agreed to provide bilingual consent forms for pregnant women who wanted sterilization, and the state agreed to hire bilingual counselors. The case is credited with helping change the medical profession’s attitudes towards serving poor communities, and with helping shape the public’s attitudes toward medical ethics and reproductive justice. The forced sterilization of poor white women, African American women, and Latinas in the U.S. has largely stopped. But involuntary sterilizations do still occur. In 2010, it was discovered that women in California prisons were sterilized against their will, while last year a Tennessee judge offered probation to a woman in exchange for sterilization.